In the 21st century, we can easily come across umpteen number of individuals who are seen pursuing photography either as a profession or simply as a mere hobby. Love for photography is sure to lead these individuals towards purchasing a camera. However, there are instances wherein people are seen getting confused as to which camera to pick up, where to get the best price for the same and so on and so forth. Let me now bring an end to the hassle faced by you by presenting you with a complete guide to picking up the perfect camera. As and when you decide to invest in a camera, you need to begin with ascertaining your individual needs and preferences with respect to your photography and clicking interests. You need to figure out the exact photo quality that you are looking out for. It is essential for you to also take into consideration the affordability parameter. In short, you need to make up your mind with regards to the amount of money that you are willing to shell out towards a camera purchase. Aesthetics and functionality is of equal importance and thus you need to get your facts right with respect to these areas as well. Many a times while investing in a camera, the only aspect that we tend to lay down our focus on are the megapixels of the camera sensor. A camera with decent megapixels surely helps you click high quality images, still it cannot be the ultimate deciding factor. 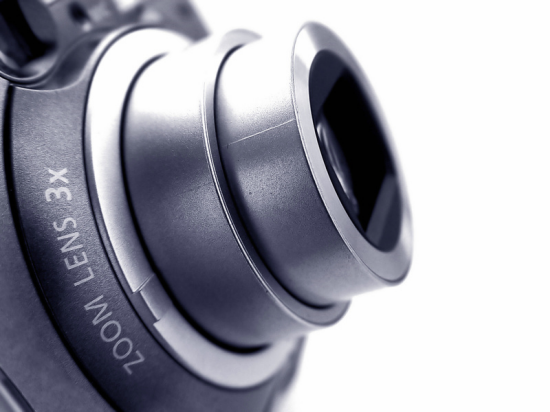 As a wise camera buyer you need to look beyond megapixels. Yet another area that demands significant attention are the specs of the camera. Similarly, you need to consider settling down for a camera that sports a large sized sensor. Apart from these features, you also need to consider some other preliminary characteristics that include the likes of face detection, optical zoom capability and of course image stabilization. It is always good to make well-informed decisions. This saying holds true even in case of purchasing a camera.When you make up your mind on investing in a camera, you need to consider carrying out a comparison between the various camera models. You can simply surf the internet and list out the various characteristics and of course the price associated with various camera models. Apart from this, you can also consider paying heed to the opinion of your family, friends and peers who happen to be photography enthusiasts and have already gone ahead with a camera purchase. This will help you to shortlist the best cameras of the lot. You must be well aware of the fact that any and every consumer durable that you decide to buy, you are sure to have an encounter with n number of retailers who tend to offer different prices for the same product. The situation is no different with respect to a camera. This is exactly why it is essential for you to figure out prices both online as well as offline. If you were to take this extra effort, then it is quite obvious that you will get your hands on a somewhat nominal price bracket. Similarly, in case of an offline purchase there are heavy chances of a bargain waiting in store for you. Many a times individuals get so excited after a camera purchase that they end up forgetting about the accessories altogether. If you opt for an offline purchase, then in certain cases you might even enjoy getting some accessories complementary with your camera. In other cases, the retailer would go ahead and market the same to you. However, in case of an online purchase there are chances of you missing out on them. All said and done, you need to make it a point to get your hands on all the essential camera accessories that include a camera case, tripod, external flash, extra lenses among others. About the Author: This article was written by Tarun, He is tech enthusiast and loves to write about TechTips and Tricks. He shares tech tutorials and other technology related stuff on his blog RocMat.